Long ago in a province in China there lived an emperor whose greatest pleasure in life was to dress in new clothes. So begins Demi's retelling of the Hans Christian Andersen fairy tale about a proud emperor who does not see what is obvious until he hears the truth from a child. Based upon several different translations of the original Danish story, Demi's tale is set in old provincial China. Filled with exquisite details, bright panoramas, and golden hues that leap off a wealth of fold-out pages, this story lures readers into a magical place and time. The story follows the four seasons of the year and is packed with visual elements of Chinese culture for readers to pore over for hours. 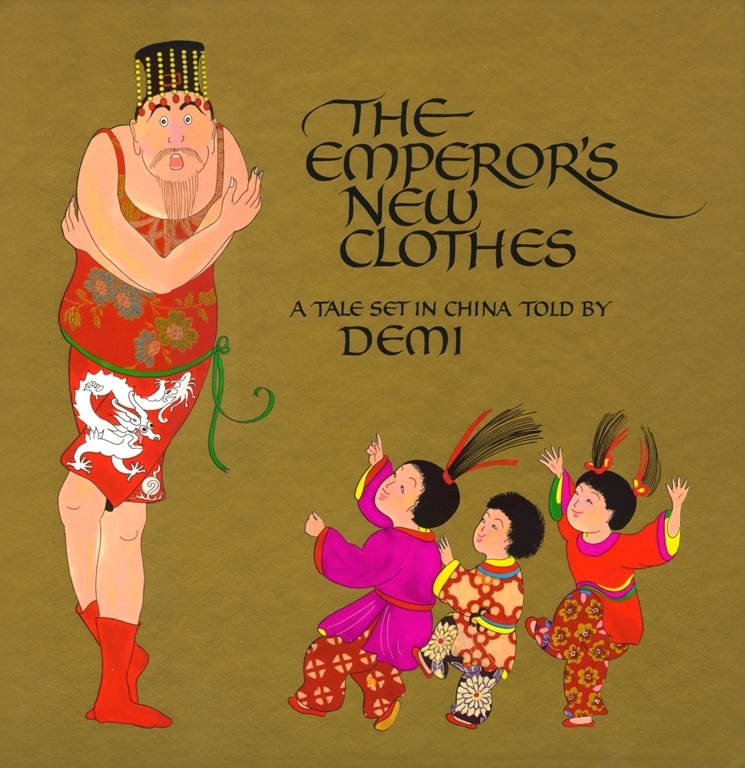 Demi has captured in text and paintings all the majesty of China and all the magic that makes for the very best fairy tales. This elegant edition of a favorite story is sure to be cherished by all.